The Turkish Competition Authority (TCA) welcomes and encourages the competition compliance efforts of undertakings. A competition compliance programme (CCP) is regarded by the TCA as an indicator of good faith and stands out as an effective tool in complying with competition law. The TCA’s practice shows that while CCPs are encouraged (and in some cases may be regarded as a mitigating factor or accepted as a behavioural remedy in merger cases), the mere existence of a CCP cannot be regarded as a sole indicator of undertaking’s compliance with competition law. In its Unilever decision No. 12-42/1258-410 in 2012, the TCA showed a positive approach to Unilever’s competition compliance efforts. During dawn raids as part of the investigation into the alleged exclusivity practices in the ice-cream market, the TCA found a document with reference to Unilever’s CCP and regular competition law trainings. The existence and content of the aforesaid document illustrated Unilever’s endeavour to act in compliance with competition law, and to some extend served as grounds for the TCA’s decision not to initiate a full-fledged investigation against the company. A similar approach was taken by the TCA in the Efes decision No. 12-38/1084-343 in 2012. At the same time, in the Frito Lay decision No. 13-49/711-300 in 2013 the TCA stated that CCPs constitute one of the significant policies of the TCA; however, the mere existence of CCPs cannot be regarded as a sole indicator of undertaking’s compliance with competition rules. Moreover, in the Industrial Gas decision No. 13-49/710-297 in 2013, while admitting that the undertaking having a CCP in place was positive, the TCA nevertheless stated that it could not be deemed a mitigating factor in determining the fine. In its recent Banking decision No. 17-39/636-276 in 2017, the TCA expressly set forth that the fact of undertakings having CCPs does not change their position when they violate the competition law, and that being part of a violation despite having a CCP merely shows that the CCP was not taken into consideration by these undertakings. The TCA further stated that the aim of CCPs is to prevent violations, and that there is no provision in the relevant legislation that would require taking the presence of CCPs into consideration while determining the amount of administrative fines. While from a business perspective competition compliance is a frequent practice to raise awareness, multinationals and companies managed under corporate governance mostly apply their policies and pursue their sustainability with tools such as training, workshops and e-learning. Yes, there is the TCA’s Competition Law Compliance Programme (CCP document) as part of the TCA’s Competition Letter 2011, which clarifies the issues and concepts of competition compliance, such as the purpose and scope of CCP, checklist for compliance with competition legislation, the content of CCP, corporate guide, trainings, regular assessment and monitoring of CCP, as well as supportive practices. The document should be helpful for all undertakings in the process of developing their own CCPs. The CCP Document is largely inspired by EU competition law and provides advice to local businesses with structured requirements in order that their CCP be sound and workable. Existence of guidelines, employee responsibility, a confidential hotline, sanctioning or rewarding mechanisms, and regular reporting are among the ‘must-have’ features listed in the document. The TCA’s Competition Letter 2011 is available at: www.rekabet.gov.tr/File/?path=ROOT%2F1%2FDocuments%2FGeneral+Content%2FCompetition+Compliance+Program.pdf. The Fines Regulation provides for a list of the aggravating and mitigating factors in determining the fine amount. Having a CCP in place is not listed among those factors within the Fines Regulation. Moreover, as referred to above in the Industrial Gas and Banking decisions, the TCA stated that the mere presence of a CCP does not constitute a mitigating factor in determining the amount of the administrative fines. Therefore, de jure having a CCP will not affect the sanctions imposed by the TCA. However, de facto a CCP may positively influence the TCA’s views in the course of its evaluations of the alleged infringements (see question 1). A company may demonstrate its commitment to competition compliance by preparing and actively implementing a CCP; providing regular training to current and onboarding employees; preparing a general checklist for all employees or departments according to their job definition and workflow; reviewing and assessing past and current practices in light of competition rules; appointing an in-house competition law expert or person responsible for effective CCP implementation; introducing a system of written commitments from the employees to fulfil their responsibilities properly and in line with competition law; applying disciplinary actions for violation by employees of competition law or CCP, as well as by establishing encouragement systems or awards to those employees who contribute to the prevention of decisions or practices that are harmful for the undertaking. Senior managers play a major role here by showing their employees clear support for the CCP and compliance culture in general. The CCP helps in identifying risks (legal, financial, reputational) by way of outlining simple and clear ‘dos and don’ts’ lists for the employees and management. 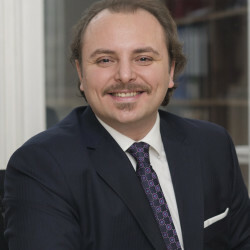 Market research, familiarising itself with the industry, the company’s activities and past dealings with the TCA (if any), keeping a track of TCA’s past decisions and current antitrust investigations in Turkey, EU and other jurisdictions, are all regarded as essential features of risk identification. Risk assessment would typically start with informal discussions with the undertaking’s senior management regarding the risks that are most common to economic activity in that specific industry. Additionally, enhancing existing communication with employees regarding the risks associated with anticompetitive practices; reviewing the undertaking’s agreements or practices, their duration and potential impact on the market; assessing the undertaking and its activities as a whole, organisational structures and changes, geographic scope of activities; prioritising risks (as low, medium or high); and preparing and presenting a report regarding main findings and risk mitigation strategies, are all important. An appointed competition expert or department should monitor and oversee the whole process. In addition, the handling of findings susceptible to lead to a competition breach is one of the key features where a company can show its devotion for its risk-assessment efforts. The CCP Document encourages businesses to halt the infringement and notify the competent authority if necessary. For cartels, the tone is more prescriptive than advisory. Risk mitigation typically involves reporting and monitoring, and employee training programmes. Written commitments from the employees to fulfil their duties in line with the CCP may also be useful. Regular assessment by the authorised competition expert of compliance with the CCP by the employees, as well as regularly updating the CCP, depending on the legislative developments, is essential here. The competition expert should also participate in the executive meetings and visit the undertaking’s facilities regularly. Additionally, if the management becomes aware of an infringement, it should immediately; put an end to the illegal practice, assess the case and inform the TCA if necessary (a possible leniency application should be considered in case the infringement stems from a horizontal agreement or concerted practice (see question 15). Active cooperation with the TCA is always advantageous. Review encompasses such features as regular assessment of the CCP and knowledge of employees about the law, CCP rules and procedures, as well as monitoring activities of employees with (or without) notice. Regular inspections (particularly without notice and focusing on the sales and marketing departments) conducted by the authorised competition expert are essential for assessing the compliance efforts of employees. The following precautions may be taken: contacting the responsible competition expert or external legal counsel; reviewing and assessing agreement or conduct in light of the CCP or checklist; avoiding exchanges of sensitive information; preparing meeting notes and clearly identifying what issues were discussed with competitors during the meeting (if this is the case) and making sure they are in line with the CCP dos and don’ts; refraining from attending meetings with competitors where no minutes are taken; assessing risks, if any, and applying to the TCA for negative clearance or individual exemption. Cartels are normally defined as agreements restricting competition or concerted practices between competitors for fixing prices, allocation of customers, providers, territories or trade channels; restricting the amount of supply or imposing quotas, and bid rigging (the Fines Regulation and Regulation on Active Cooperation for Detecting Cartels (the Leniency Regulation)). Additionally, the exchange of competition-sensitive information among rivals such as future prices, outputs or sale amounts are generally considered as cartels, since they are generally aimed at fixing prices and quantities (the Guidelines on Horizontal Cooperation Agreements 2013). However, there are precedents whereby the exchange of such information regarding the future was not regarded as a cartel and was categorized under other infringements (eg, in the Banking decision the TCA held that exchange of information concerning future prices constituted an anti-competitive information exchange but not a cartel). Cartels are very unlikely to be in writing. Any act or concerted action between competitors preventing or restricting competition, including any (even unsuccessful) attempt to run a cartel, if there is sufficient evidence of a solid intention to commit it, shall be regarded as a cartel. Whether or not the anticompetitive agreement or cartel has been (partially) implemented is only relevant to determining the gravity of sanctions to be imposed on the parties, not to the fact that article 4 (equivalent of article 101(1) TFEU) of the Turkish Competition Law has been violated. Cartels may be exempted from sanctions following the leniency application, if certain conditions under the Leniency Regulation are satisfied. Depending on the circumstances, it is possible to obtain either full immunity from or a reduction in fines for undertakings (as well as their employees or managers) if the TCA is approached with a leniency application. An application for leniency is possible until the investigation report is officially served. The first undertaking to file the leniency application until the investigation report is officially served may benefit from total immunity from fines, unless the applicant is a ringleader. All the subsequent applicants for leniency may benefit only from a reduction in fines. Active cooperation with the TCA until the final decision on the case is indispensable in this process. The name of the applicant must be kept confidential until the end of the investigation, unless the assigned unit requests otherwise. maintain active cooperation until the TCA takes its final decision. As mentioned in question 12, exchanges of competition-sensitive information among rivals may be anti-competitive under certain circumstances (they may also be considered as cartels, if they are aimed at fixing prices and quantities). Information related to prices, quantities, customers, costs, turnovers, sales, purchases, capacities, product characteristics, marketing plans, risks, investments, technologies, R&D programmes and similar information are considered competition sensitive. Exchanges of aggregated data (when it is sufficiently difficult to identify individual data of a particular undertaking) or historic data (as opposed to current or future data) are much less likely to lead to competition concerns. An undertaking may exchange information with its competitors if the exchange of information leads to efficiency gains, which are passed on to consumers, and outweigh the restrictive effects on competition. The framework for information exchange among competitors is also shaped by the many precedents of the TCA in different industries and forms. These detailed precedents are the outcome of negative clearance applications to the TCA, mostly by industry associations. A leniency programme is available to companies in Turkey as well as individuals. Until the Banking decision, the leniency programme was in place exclusively to reveal cartels. Therefore, if the TCA discovered that the practices indicated in the leniency application in fact related to other types of infringements, the leniency applicant only benefited from the possibility of obtaining a reduction in its fine, if it cooperated actively with the authority (eg, in the Hyundai Dealers decision No. 13-70/952-403 in 2013, the TCA had held that the leniency applicant may not benefit from full immunity as the infringement concerned was not a cartel but an information exchange and deemed the leniency application as a form of active cooperation thereby reducing the amount of fine). However, in the Banking decision, although the TCA decided that the infringement was not a cartel, it granted full immunity to the leniency applicant due to its active cooperation with the TCA. It is important to note that the TCA relied directly on the provisions of the Turkish Competition Law concerning active cooperation rather than the Leniency Regulation, as the former does not distinguish between different types of violation whereas the latter stipulates that full immunity may only be granted in case of cartels. It should further be noted that full immunity would only be granted to horizontal agreements or concerted practices and not to anticompetitive vertical agreements or concerted practices or abuse of dominant position (the administrative fines to be imposed on the undertakings may be reduced in those cases if they actively cooperate with the TCA). Yes, when the undertaking applies for leniency, its application and leniency benefits would also cover its individual officers and employees. A marker system is available in Turkey. Normally following a face-to-face meeting, the undertaking or its representative would sign an affidavit with the case handlers specifying the date and time of the marker. Placing a marker would not result in any additional obligation or duties on the undertaking concerned. On the other hand, as a rule of thumb, the undertaking would be expected to proceed and submit the available evidence in relation to the suspected practices or cartel. Per the article 7(2) of the Fines Regulation, an undertaking may apply for leniency plus during an ongoing investigation. If an undertaking discloses a new infringement through the leniency programme (in accordance with the Leniency Regulation) during an ongoing investigation, it benefits twice by obtaining full immunity for the new infringement (provided the conditions in the Leniency Regulation are satisfied) and a fine reduction of a quarter for the ongoing investigation. most-favoured nation (MFN) practices implemented by players with a significant market power in the market leading to foreclosure of competitors. assuming responsibility other than failing to get a commission owing to customers’ failure to fulfil the terms of the contract, etc. Not all of the above-mentioned vertical arrangements are illegal per se. The TCA makes a distinction between agreements that restrict competition by object and by effect. Resale price maintenance, imposing a minimum resale price limit and exclusivity agreements, including passive sales fall under the category of restrictions by object. Further analysis of the effects of such agreements with restrictions by object is only necessary to determine the gravity of the infringements and sanctions (the Guidelines on General Principles of Exemption). Agreements that may be restrictive by effect should be assessed from the point of view of actual and potential effects on competition parameters in the market. Therefore, in addition to actual anticompetitive effects, restrictive effects that are expected to occur with a reasonable probability shall be considered sufficient grounds for finding them anticompetitive. If the anticompetitive effects are confirmed, they shall be assessed in the light of the efficiency defence conditions listed in article 5 (equivalent of article 101(3) TFEU) of the Turkish Competition Law. Agreements with no restriction by object may be covered by the Vertical Block Exemption Communiqué if the 40 per cent market share threshold is not exceeded. Those agreements that exceed the 40 per cent market share threshold may still benefit from the individual exemption under article 5 of the Turkish Competition Law. Vertical arrangement may be exempted from sanctions if they fall within the scope of one of the relevant Block Exemption Communiqués, namely, on vertical agreements, on research and development agreements, on vertical agreements and concerted practices in the motor vehicles sector, on insurance sector, and on technology transfer agreements. Alternatively, an individual assessment of the exemption under article 5 of the Turkish Competition Law shall be conducted. In case there is no certainty as to either block or individual exemption, it is highly recommended to approach the TCA in order to avoid any risk of being fined. In its decision No. 17-01/12-4 in 2017 the TCA fined Booking.com for approximately 2.5 million Turkish lira for violation of Turkish Competition Law via its ‘best price guarantee’/MFN practices. It was found that agreements (particularly the MFN clauses) concluded between Booking.com and accommodation facilities were outside the scope of the Block Exemption Communiqué on Vertical Agreements (due to the market share threshold). An individual exemption could not be granted either since the practices did not meet exemption conditions under article 5 of the Turkish Competition Law. This list is not exhaustive. The basis of the TCA’s evaluation of conduct is whether the behaviour of the dominant undertaking leads to actual or potential anticompetitive foreclosure. The TCA’s decision No. 16-20/347-156 in 2016 in relation to the popular Turkish online food ordering platform Yemeksepeti declared that the company abused its dominant position via the MFN clauses, which prevented competitors from providing better or different conditions (ie, prices, discounts, promotions, menus, payment options, delivery regions), as well as by preventing advertisements of competing platforms, by offering promotions to restaurants in return for refusing to work with competing platforms. The undertaking was fined 427,977 lira and was ordered to exclude MFN clauses from the agreements. Abuse of dominance was confirmed by TCA in its more recent decision No. 17-07/84-34 in 2017 in relation to the traditional alcoholic drink (rakı) producer Mey İçki. Providing financial benefits in relation to the shelf positioning and product layout of rakı category within the traditional channel sales points, loyalty rebates, in addition to other practices, were deemed as exclusionary and in breach of competition law. The company was fined 155,782,969 lira, an amount corresponding to 4.2 per cent of company’s turnover (the fourth largest fine imposed on a company in Turkey). The decision lists in detail a number of actions that the dominant company needs to undertake or refrain from. The TCA delivered another abuse of dominance decision No. 17-08/99-42 in 2017 in relation to branded sunglasses wholesaler Luxottica. The company was fined 1,672,647 lira for abuse of dominance via practices foreclosing the market to its competitors. The TCA published its short decision 18-06/101-52 dated 20 February 2018 in relation to the first investigation ever conducted in the electricity sector and imposed a total fine of 38 million lira on Akdeniz Elektrik Dağıtım AŞ, the electricity distribution company in the Mediterranean Region, and Akdeniz Elektrik Perakende Satış AŞ, the incumbent retail electricity sales company, which is under the same control structure as the distribution company, for abuse of dominance. Abusing market dominance may be exempted from sanctions if there are sufficient grounds to justify such behaviour. The justification claims put forward by the dominant undertakings should include an explanation of objective necessity and efficiency. Under the ‘objective necessity’ category the abusive conduct should protect a legitimate benefit and such conduct should be indispensable for achieving that benefit. Additionally, such conduct must be caused by external factors, namely, health and safety requirements set by the public authorities. The restriction must not exceed what is necessary in the course of protection of that benefit. As for the ‘efficiency’ category, the dominant company must prove that the abusive conduct meets all four of the following conditions: there are certain efficiencies (to be) realised as a result of the conduct; the conduct is indispensable for the realisation of those efficiencies; the efficiencies outweigh any possible negative effects on competition or consumer welfare; and the conduct should not eliminate effective competition (the Guidelines on the Assessment of Abusive Conduct by Undertakings with Dominant Position 2014). the Turkish turnover of the assets or businesses being acquired in acquisition transactions, and of at least one of the parties in merger transactions exceeds 30 million lira, and the worldwide turnover of the other party exceeds 500 million lira . The average buying exchange rate of the Central Bank of Turkey for the financial year the turnover is generated is taken into consideration in the calculation of the turnover. The above-mentioned currencies are based on the average buying exchange rate for 2017. For the purpose of calculating turnovers, transactions executed between the same persons, parties or undertakings or by the same undertaking in the same relevant product market (ie, creeping acquisitions) are considered to constitute a single transaction if they are realised within three years. Article 8 of Communiqué No. 2010/4 Concerning the Mergers and Acquisition Requiring the Approval of the Competition Board establishes that the calculation of turnovers must be based on net sales, whereas article 9 prescribes specific rules regarding the calculation of financial institutions’ turnovers including, among others, banks, insurance, factoring and financial leasing companies. The notification may be made either jointly by the parties or severally by any of the parties or their authorised representatives (see question 26 and Communiqué No: 2010/4). The procedure before the TCA may have two phases. Phase I consists of a preliminary review that lasts one to two months. The Board decides either to approve or to further investigate the concerned transaction at the end of Phase I. Following the notification, the Board is to conduct a preliminary examination within 15 days, upon which it decides either to clear the transaction or to further examine its possible effects by initiating a Phase II investigation. Within the 15-day period, the TCA may decide to request information from the transaction parties or third parties. The 15-day period restarts following the receipt of the requested information. In case the Board does not notify its decision or does not take any action as to the notified transaction within 30 days of the date of notification, it is considered to have implicitly approved the transaction. In practice, clearance of Phase I transactions generally takes one to two months. A Phase II investigation is initiated if the notified transaction is considered to carry the risk of creating a dominant position or strengthening an existing one, and significantly impeding effective competition. The Phase II notice is sent to the parties within 15 days following such decision. The parties submit their first written defence within 30 days of receiving the Phase II notice. The TCA must issue the Phase II report within six months (extendable for another six months) after the initiation of the Phase II investigation. In practice, the TCA generally issues the Phase II report within the first six months. Parties have 30 days (extendable for another 30 days) for submitting the second written defence and the TCA issues its additional opinion within 15 days after receiving the second written defence. The parties may respond to the additional opinion within 30 days and this closes the investigation stage. Unless an oral hearing is held, the Board renders its decision within 30 days (extendable for another 30 days) after the conclusion of the investigation stage. The Board generally decides whether a Phase II transaction shall be cleared or not within a year after the transaction is notified. In this regard, the best timing for filing a notification depends on the specific circumstances and conditions of the transaction. In either of those phases, the TCA may request information from parties, public authorities, or from any other interested parties. In 2017, the TCA examined 184 transactions, four of which went to Phase II. The TCA’s clearance shall also cover ancillary restrictions that are proportionate, directly related and necessary for the concentration and restrictive only for the parties (non-compete, confidentiality, non-solicitation clauses). If those are not ancillary restrictions, the parties will have to self-assess them from the point of view of article 4, 5 and 6 of the Turkish Competition Law. 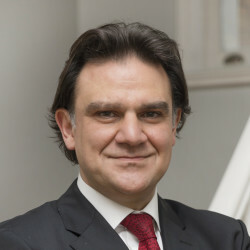 This may result in a fixed administrative fine of 0.1 per cent of the annual gross turnover of the parties concerned in the financial year preceding the date of the decision (but no less than not less than 21,036 lira for 2018), irrespective of whether the TCA ultimately decides to clear the transaction. If the implemented-without-clearance concentration created or strengthened a dominant position and significantly impeded competition in the market in Turkey, the fine may be up to 10 per cent of the annual gross turnover for the preceding year. Additionally, executives and employees of the undertakings concerned who played a decisive role in the violation of the standstill obligation may also be faced with a fine of up to 5 per cent of the fine imposed on the undertakings. The TCA in its decision No. 16-42/693-311 in December 2016 decided to impose an administrative fine on Labelon Group Limited for its failure to notify the transaction in Turkey prior to its closing in the amount corresponding to 0.1 per cent of its the annual gross turnover, and at the same to time authorise the acquisition of control of A-Tex Holding by Labelon Group. Although not referred to in any competition legislation, an employee may seek external legal support in case he or she faces action from its employer with the allegation that his or her own initiatives caused the subjected breach of competition law. An individual may also seek individual legal advice in cases where his or her employer forced the employee to breach competition rules and put him or her under a responsibility towards competition law. In such cases, an individual may apply for leniency or whistle-blow under the guidance of the individual legal support. Dawn raid is a frequent method of investigation that may be used by the TCA regardless of the nature of the alleged infringement. Unannounced onsite inspections are used both at the pre-investigation and investigation stages. The TCA may search the premises of the undertaking subject to its investigation. The TCA officials do not need a special authorisation from the court, but they do have to have authorisation from the President of the TCA specifying the subject matter and purpose of the investigation, and that administrative fines shall be imposed in case of provision of incorrect information. The authorisation from the court is required only if the undertaking concerned refuses to allow the dawn raid. The TCA representatives may enter the premises and means of transport of companies; access electronic devices such as computers, company mobile phones, notebooks; examine and take copy of the books and other business records; and ask any representative or employee for explanations about facts or documents (article 15 of the Turkish Competition Law). Computers may be fully examined by the TCA, including any deleted items. The undertaking is obliged to allow the TCA’s inspectors to access the premises and conduct the investigation if a formal decision is taken by the TCA. In the absence of a formal decision, it is not obliged to permit it. It is not required to state reasons why it does not permit investigation. If the undertaking voluntarily decides to allow the investigation to be conducted, it will not be able to change its decision later on. In the presence of a formal decision, undertakings must allow the case handlers to conduct a dawn raid and an administrative fine amounting to 0.5 per cent of the turnover generated in preceding year is imposed in case dawn raids are hindered or obstructed. One of the most significant decisions of the TCA regarding the obstruction of dawn raid was TTNET decision No. 13-46/601-M in 2013, where it was found that an employee deleted certain documents during the dawn raid and the TCA fined the undertaking for 15,512,258 million lira, which was 0.5 per cent of the undertaking’s turnover. Currently there is no settlement procedure explicitly provided for by Turkish law. The TCA may, at the stage of preliminary investigation, adopt a decision or warning stating that it would initiate a full-fledged investigation if the undertakings concerned do not modify or put an end to their agreements or conduct and the parties should come up with effective commitments to be accepted by the TCA. Currently settlements in the form of remedies are available within the scope of merger control. The TCA allows undertakings concerned to propose remedies related to transaction with a view to eliminating the competition concerns that may arise. At the same time the TCA is entitled to impose requirements and obligations to ensure the fulfilment of such remedies. Since the TCA considers CCPs as part of the remedies package in merger cases, as well as generally being a positive factor, we would expect that the CCPs in place may also be considered by the TCA in the process of settlement negotiations, if and when the new Draft Law comes into force. No, corporate monitorships are not used in Turkey. This remains to be seen once the settlement mechanism is introduced in Turkey. Currently, the civil courts suspend the proceedings in actions for private damages until the TCA renders a decision confirming the competition law infringement. In case the TCA finds an infringement, the civil courts must take this as given and they may not further assess whether the conduct of the defendant is unlawful or not. The private damages claims are tort claims and the infringement decision of the TCA only proves the unlawfulness of the relevant conduct. The claimant must further prove the negligence of the claimant, its damages and the causal link between the unlawful conduct and its damages. There is no class action envisaged by the Turkish law for the purposes of private enforcement in relation to competition law violations (as opposed to cases on consumer protection). The undertaking (both the company and individual) may claim attorney-client privilege over any aspect of internal antitrust investigation that relates to the right of defence under certain conditions. Legal privilege in Turkey covers documents prepared by or correspondence with an independent external attorney that is directly related to the client’s right of defence (eg, a legal opinion on whether the agreement infringes competition law). If this is not the case or if the purpose of the documents is to conceal or facilitate the violation (eg, discussions on how to apply the anticompetitive practices), then privilege cannot be invoked and hence those documents cannot be protected. Attorney-client privilege was confirmed by the TCA in its Dow decision No. 15-42/690-259 in 2015 stating that communications with an independent (with no employment relations with the client) attorney fall within the scope of attorney-client privilege and shall be protected from disclosure. Since legal privilege is not explicitly regulated by law, the TCA enjoys discretionary power on evaluating this issue. In the Luxottica decision No. 17-08/88-38 in 2017 the TCA held that the responses provided by the undertakings to the information requests sent by the TCA must be evaluated within the scope of the principle of privilege against self-incrimination. The TCA stated that the undertakings have a right to answer questions that are directly related with the essence of the investigations in parallel with their defences, and that it may not be claimed that these responses are misleading owing to the privilege against self-incrimination. The undertakings involved in competition investigations are entitled to confidentiality protection by way of making reasoned confidentiality requests in writing to the TCA indicating what information or documents shall be regarded as confidential or trade secrets, the grounds for this, and providing non-confidential versions of those documents. The TCA has discretion in deciding whether there are legitimate reasons to grant the requested confidentiality. The TCA may ask for detailed explanation of the confidentiality claims (Communiqué No. 2010/3 on Access to File). Irrespective of the confidentiality request, the law prohibits the officials of the TCA from disclosing and using (in their own or other’s interests) the confidential information and trade secrets of undertakings obtained in the course of performing their duties, even if they have left the office. Additionally, the applicant who submits information about alleged violations to the TCA may request to stay anonymous (Communiqué 2012/2). In such case, any information that may lead to the identification of such applicant shall not be included in any correspondence, including within the TCA. Confidentiality may also be regarded as a duty under the Leniency Regulation, according to which a leniency applicant, in order to be eligible for leniency, must, among other requirements, keep the application confidential until the end of the investigation, unless requested to do otherwise by the TCA. Refusing to cooperate with the TCA in an investigation may take the form of hindering or complicating on the spot inspections, or failure to respond to information requests in a timely manner, etc, and may result in a fixed administrative fine of 0.5 per cent of its annual gross revenues for the financial year preceding the fine decision. No such duty is specifically envisaged by law. Rather it is a right of any natural person, institution or any other undertakings to submit an application to the TCA in the form of information or a complaint. The Ministry of Customs and Trade in 2013 issued a draft law that aims to amend certain provisions of the current Competition Law and it was submitted to the Turkish parliament’s attention in early 2014. However, it was not enacted and became obsolete following the general elections in 2015. The draft law’s provisions, however, might still serve as a roadmap as to what should be expected from a potential reform. Under the Draft Law, the settlement procedure is envisaged and undertakings will enjoy the opportunity to terminate an ongoing investigation by putting commitments forward if and when a provision similar to that in the Draft Law comes into force. Additionally, the Draft Law replaces the dominance test with the ‘significant impediment of effective competition’ test for the purposes of merger assessment. The TCA (inspired by the Marina decision No. 15-29/421-118 dated 9 July 2015) has also been considering introducing the market share test in addition to the turnover thresholds with a view to ensuring that all problematic transactions are subject to merger control.